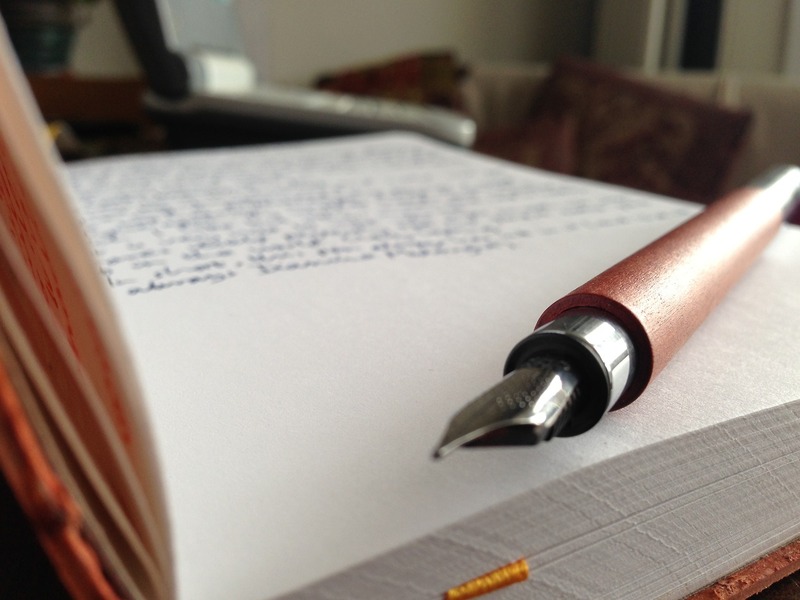 Faber-Castell Ambition fountain pen review – Pens! Paper! Pencils! The Faber-Castell Ambition Pearwood is a beautiful looking pen. I’m a sucker for wood and metal; organic and machined; old and new. Gets me every time. This is a stunning pen. In my big chunky hands this pen is a perfect length and weight but it is a little top heavy when posted and if you have small hands you may prefer to use it unposted. It’s a heavy cap. A cap that means business and shouts quality. It’s very nice to write with. The nib (though not especially fine for an extra-fine) is super smooth and behaves itself perfectly. Looks good too. A pleasure to write with. 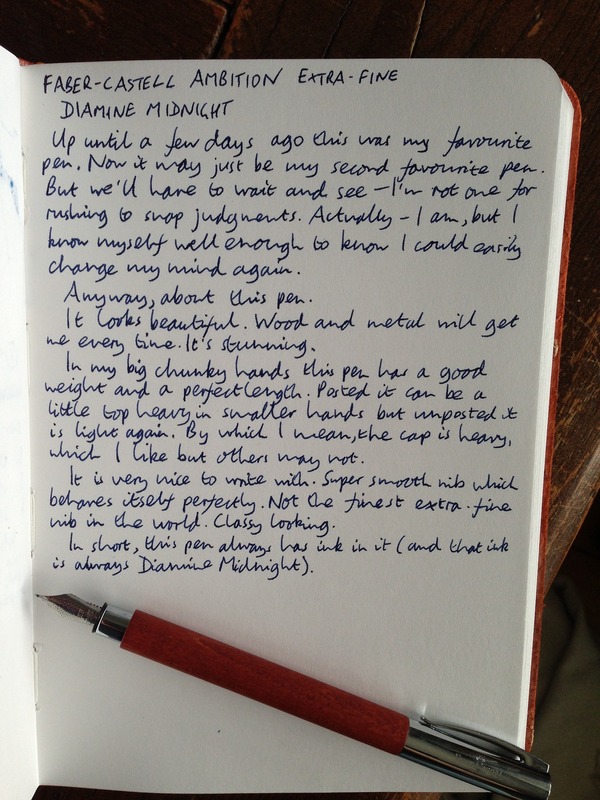 In short, this pen always has ink in it (and that ink is always Diamine Midnight).